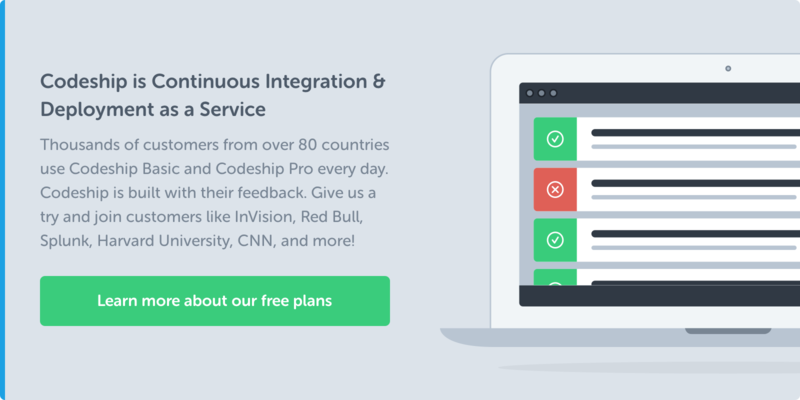 We are proud to announce a new member in our Codeship deployments family: dotCloud! A lot of our customers have asked for better Python deployment support on our service. dotCloud is a cloud hosting platform for your web applications. They support Python, Java, PHP and many other platforms. Getting started is easy: Just create an account and you’re all set within a few minutes. You can deploy your GitHub and BitBucket projects with the Codeship. All you need to deploy to dotCloud is your API token. Within two minutes you can configure Continuous Deployment with Codeship to deploy your app to dotCloud. As soon as you’ve configured your deployment, the Codeship will deploy your application to dotCloud with every build. The dotCloud command line tool gets installed during deployment and is used to push your app to dotCloud. Note that you might need to prepare your application to run on dotCloud. Check out the dotcloud Python and Django documentation or watch the screencast above. That’s it: You created a dotCloud account and set up Continuous Integration and Continuous Deployment for your Python apps. All in less than 10 minutes! Watch the video at the beginning of this article to see how to set up Continuous Integration and Deployment for your Python projects on the Codeship. If you want to share this news click here to tweet.